Before i read this book, i remember using this exact phrase as a pundit to get my point across. 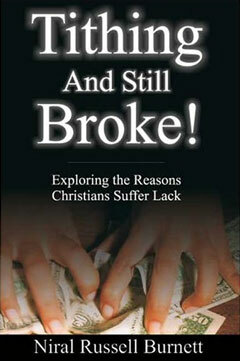 Many people were tithing, but they were still broke. Supposedly, if that’s the case, God is either punishing you for that one Sunday you missed five years ago, or your faith is not strong enough, or your heart is not right. Although you have been faithfully giving the tithe, one of these three issues is what is keeping you from God blessing you right? I write a lot of comments on other blogs that talk about tithing. I try to add my 2 cents, but the one type of blogs that i do not add comments on are the personal testimonies. I’m sure many of you have heard testimonies that portray a couple that gives their $127.67 tithe check to the church and then God doubles or even gives them 10x the amount to the exact penny. Some things to note on those people. One, that only happens once. Two, for some reason it doesn’t happen to everyone. Three, it never happened to me. I have no doubts that God purposefully blessed them with that exact amount, but i have no doubts that it wasn’t because they obeyed the tithe. Why? Because those situations happen to those people who give freewill offerings as well. I forget to mention above, but the reason why i do not comment on the testimony blogs is because the ability to convince them that their blessing didn’t come from an old testament law is similar to convincing you that you are not real. That tithing testimony is so real to them, that scripture will not convince them otherwise. You see, God blesses the faith and the sacrifice. He does not bless us on our performance. Let me ask this? What do you think God would bless more – A person who makes a decision to pay a bill of $200 to get out of debt, or a person who gives $200 to his church? What is the greater spiritual need? Who determines that the building fund is a greater need than someone paying off debt? I don’t know? You tell me. 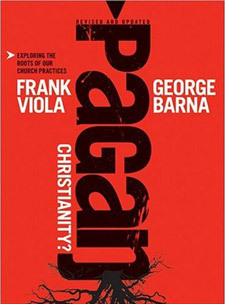 I’m sure the question follows, “Well why can’t we do both- Pay off some of the debt and give some to the church”? I’m not saying he can’t. My point is that God does not judge man on how much he gives, he judges man on how good of a steward he is. Giving can be part of stewardship, but for illustration sake let’s refer to the master who left 3 of his stewards some talents. Two out of Three had taken the talents and invested it, and had more in the end. The third one actually gave 100% of his talents back to his master, but was still considered a bad steward. I appreciate Niral Burnett’s challenge to bring more faith and sacrifice into tithing, but tithing + faith is not the only equation to God’s blessing. Yes, i do think finances can be a blessing for those of you who think money is a curse. I don’t know about you but i appreciate material things. They are not a curse until they become an idol. An idol is not exactly something you bow down to. It can be a material possession that God’s Spirit asks you to give up but you hold onto. First, I think people are tithing and still broke because they lack the financial discipline to say “no” to their idols. Second, i think people are tithing and still broke because they put themselves under the requirement of a law that had been fulfilled. I think people are tithing and still broke simply because they can’t afford to tithe. ‹ Why is God So Selfish? Which is better to take my 10% tithe to the church or to give that tithe to my poor neighbour is on death bed seeking financial aid for the doctors to continue the required treatmens? Giving to the person in need just pray on it. Or if possible give the 10% for tithe inform your church of the person in need and see about starting up fund raising. If you cant help with the doctor bills you could help in other ways praying, provide food etc.